Learn more about the Panama Paradise by visiting the Ocean Reef Islands online. The contemporary Mediterranean features six bedrooms and eight bathrooms in 9,200 square feet. Former model Nicole Murphy and football analyst Michael Strahan have listed their house in a gated community in Brentwood at $6.95 million. Designed for entertaining, the contemporary Mediterranean features two dens, a wet bar, a theater room, a wine cellar, an elevator, six bedrooms and eight bathrooms in 9,200 square feet. The master suite includes a sitting area, fireplace, dual bathrooms, dual closets and a balcony. A deck overlooks the swimming pool, spa and yard. Murphy, 43, was married to comedian Eddie Murphy from 1993 to 2006. The property was purchased for $5 million in 2009, the year Murphy and Strahan got engaged. They are selling because they don’t use the house very much, according to listing agent Bob Hurwitz of Hurwitz James Co. Luxury real-estate trends in Los Angeles are like sequels to blockbuster action movies: Everything is bigger, more high-tech, and definitely over the top. So says Colleen Egan, in a recent Architectural Digest article on everyone’s favorite glamour topic, higher-than-high-end real estate. And nothing says luxury like amenities that no one else has – the more outsized, the more beautiful and unique, the better. Egan interviews several well-known reps in this market to get an understanding of what drives the trend. According to Million Dollar Listing star James Harris, it isn’t just the clients asking for flashy extras. Developers of spec houses want theirs to stand out from the rest, so they engage in a sort of one-upmanship by adding newer, better stuff — like 6,000-square-foot master suites, “ice rooms” and even a jellyfish room, to cite three unusual features of a recent Bel Air mansion project. Our own Josh Reef weighed in about client-driven add-ons, like super luxurious master suites and dedicated wine rooms. Oenophiles in the Beverly Hills market won’t be satisfied with a little wine fridge, and developers are building to meet that wine-fanatic’s requirements. This balances out the desire for an open floor plan on one hand, with the need to have appliances at hand for entertaining – so additional rooms are created to house the extra equipment. Quietly built in to the newest properties, and an increasingly typical upgrade, is home automation. High-end buyers want to walk in the door and control everything inside using their phone, and even from wherever they are before they get home. The technology is available and very much in demand, with new products and capabilities added every day – so the developer is always willing to add the extra bells and whistles. What else appears on the high-end wish list? Ultra-luxurious swimming pools, of course. In Beverly Hills, Bel Air and beyond, it’s not enough just to have a backyard pool. 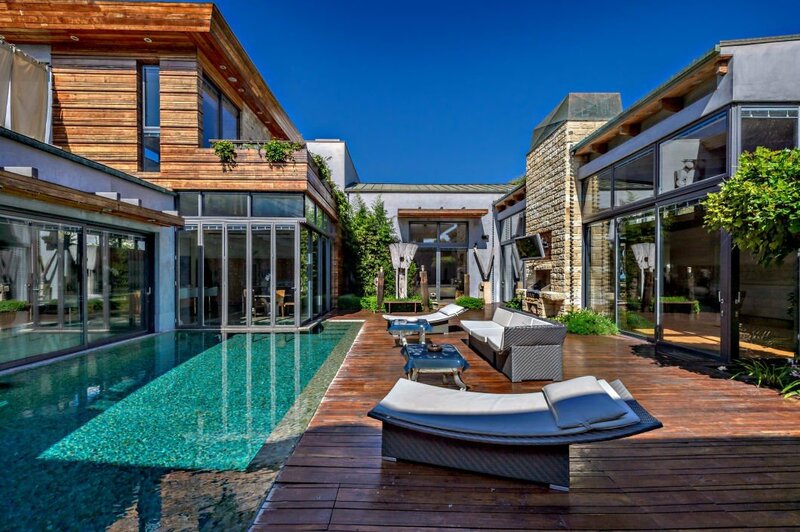 “A must-have is the infinity-edge pool,” Reef says. But chlorine is being passed over for saltwater pools, the most sought-after type, and developers have followed suit. 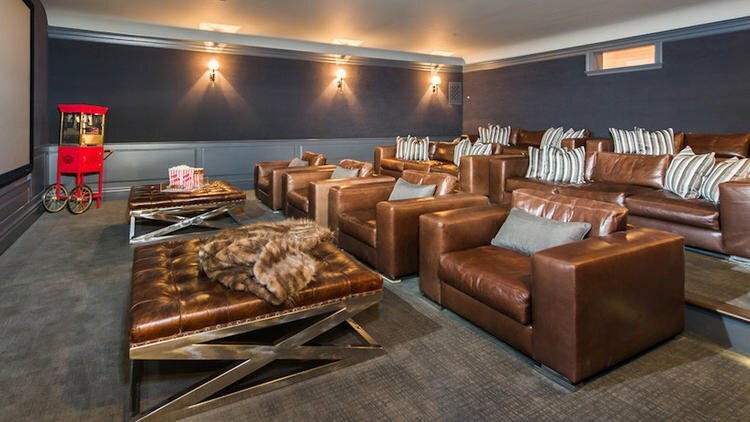 And in an area that boasts more movie stars per square mile than any other in the world, screening rooms are almost commonplace. Except the high-end ones get their own bungalow, with adjacent gym room and guest quarters. The gym room itself is morphing more into the ‘wellness center,’ probably a reflection of California’s leadership in everything related to healthy lifestyles and physical appearance. The personal wellness center can include everything from saunas and spas to Egyptian baths, cold water plunges, makeup rooms and hair salons. And once the recipient of this custom beauty regimen is ready for his or her closeup, the next step is to show it off. Young Hollywood will then rush out to the latest hot nightclub, but for upping the luxe hipster quotient, why not have the nightclub in your home? The at-home nightclub makes Mr or Ms media star the host of the ultimate party house – while offering a buffer from the paparazzi. With over 10 years in successfully developing multi-million dollar luxury estates, estate management, marketing, and sales, Will Fuller has been hand-selected to spearhead the expansion of Hurwitz James Company into Florida. A Maine native, Will has lived a bi-coastal life from an early age, giving him a uniquely broad perspective on different markets in the US. Will received his bachelor’s degree in Business Administration with a concentration in management from the University of Maine. Will’s vision in addition to his artistic sensibilities, out-of-the-box thinking, and deep insight into Florida and California markets makes him the “perfect storm” for working with our most discriminating luxury home buyers and sellers. Last week, Bob Hurwitz and members of the HJC team attended the China-US Forum on Education and Investment in Shenzhen City, China. As the first meeting of its kind between major investment groups and educators in the world’s two biggest economies, the forum focused on topics of investment risks and opportunities, overseas education and immigration policy, overseas asset allocation and cultural challenges – all issues that will be factors in the rapidly-changing economic landscape in both countries for years to come. Guest speakers at the forum included senior investment manager Alex Ahlstrom, Vice President of Overseas Development at EB5 Group, Xu Li, founder and chairman of the board of Happy Life Education Foundation Limited, Zhu Xiaodong, international education and business cooperation expert, Nicolai Hinrichsen of the Miller Mayer immigration team, and David Schuessler, director of client relations of InGenius Prep. A lively question-and-answer session with investors ranged from current China-US investment conditions and trends to US law and taxation issues, and details on specific China-US investment opportunities. Organizers were well-pleased with the turnout and enthusiasm with which their US counterparts were greeted. With listings on luxury properties in 13 different countries and various states across the U.S., I am often asked the following question: Which city receives the most inquiries from affluent buyers worldwide? The answer is simple—the famous 90210. Beverly Hills. Much of the most expensive part of Beverly Hills is, in fact, flat (known as “the flats”) and the origins of the city are rather ignominious. While drilling for oil on a bean field, investors instead found water that could support residential development—but this would have most likely failed without a congruence of luck and genius. To put it more succinctly, Beverly Hills owes its success to the construction of the Beverly Hills hotel and the glamour of the movie industry – whose most famous stars (in front of and behind the camera) became its most visible residents. Fast forward a few decades and multiply that pizzazz a hundredfold. Add in the apotheosis of conspicuous consumption of the Golden Triangle (anchored by Rodeo Drive, of course) and you have a destination of maximal attraction for home ownership and residency that appeals to all cultures, nationalities, races and religions. The only color that matters here is green, and if you want to own property in the most desirable locations in Beverly Hills, you had better bring a lot of it. 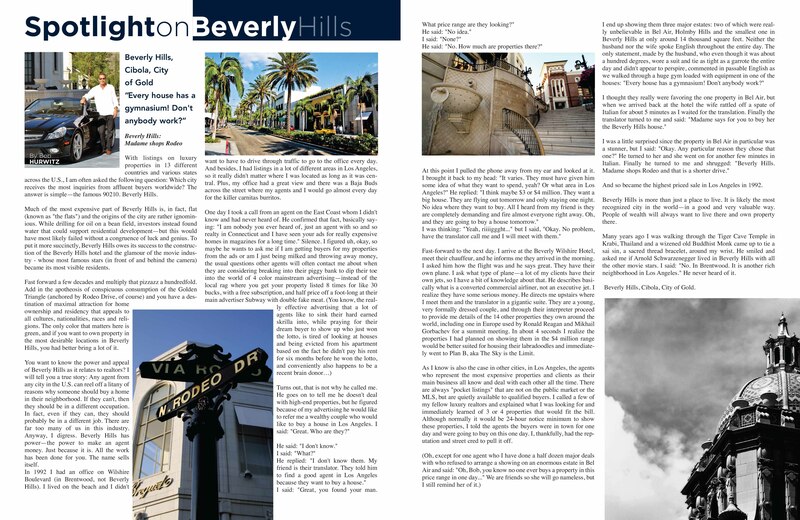 You want to know the power and appeal of Beverly Hills as it relates to realtors? I will tell you a true story: Any agent from any city in the U.S. can reel off a litany of reasons why someone should buy a home in their neighborhood. If they can’t, then they should be in a different occupation. In fact, even if they can, they should probably be in a different job. There are far too many of us in this industry. Anyway, I digress. Beverly Hills has power—the power to make an agent money. Just because it is. All the work has been done for you. The name sells itself. In 1992 I had an office on Wilshire Boulevard (in Brentwood, not Beverly Hills). I lived on the beach and I didn’t want to have to drive through traffic to go to the office every day. And besides, I had listings in a lot of different areas in Los Angeles, so it really didn’t matter where I was located as long as it was central. Plus, my office had a great view and there was a Baja Buds across the street where my agents and I would go almost every day for the killer carnitas burritos. Fast-forward to the next day. I arrive at the Beverly Wilshire Hotel, meet their chauffeur, and he informs me they arrived in the morning. I asked him how the flight was and he says great. They have their own plane. I ask what type of plane—a lot of my clients have their own jets, so I have a bit of knowledge about that. He describes basically what is a converted commercial airliner, not an executive jet. I realize they have some serious money. He directs me upstairs where I meet them and the translator in a gigantic suite. They are a young, very formally dressed couple, and through their interpreter proceed to provide me details of the 14 other properties they own around the world, including one in Europe used by Ronald Reagan and Mikhail Gorbachev for a summit meeting. In about 4 seconds I realize the properties I had planned on showing them in the $4 million range would be better suited for housing their labradoodles and immediately went to Plan B, aka The Sky is the Limit. As I know is also the case in other cities, in Los Angeles, the agents who represent the most expensive properties and clients as their main business all know and deal with each other all the time. There are always “pocket listings” that are not on the public market or the MLS, but are quietly available to qualified buyers. I called a few of my fellow luxury realtors and explained what I was looking for and immediately learned of 3 or 4 properties that would fit the bill. Although normally it would be 24-hour notice minimum to show these properties, I told the agents the buyers were in town for one day and were going to buy on this one day. I, thankfully, had the reputation and street cred to pull it off. And so became the highest priced sale in Los Angeles in 1992. Beverly Hills is more than just a place to live. It is likely the most recognized city in the world—in a good and very valuable way. People of wealth will always want to live there and own property there. Many years ago I was walking through the Tiger Cave Temple in Krabi, Thailand and a wizened old Buddhist Monk came up to tie a sai sin, a sacred thread bracelet, around my wrist. He smiled and asked me if Arnold Schwarzenegger lived in Beverly Hills with all the other movie stars. I said: “No. In Brentwood. It is another rich neighborhood in Los Angeles.” He’d never heard of it. THE KING HAS DONE IT AGAIN! Bob Hurwitz Successfully SOLD the unique Bali Paradise Estate OVER ASKING PRICE! 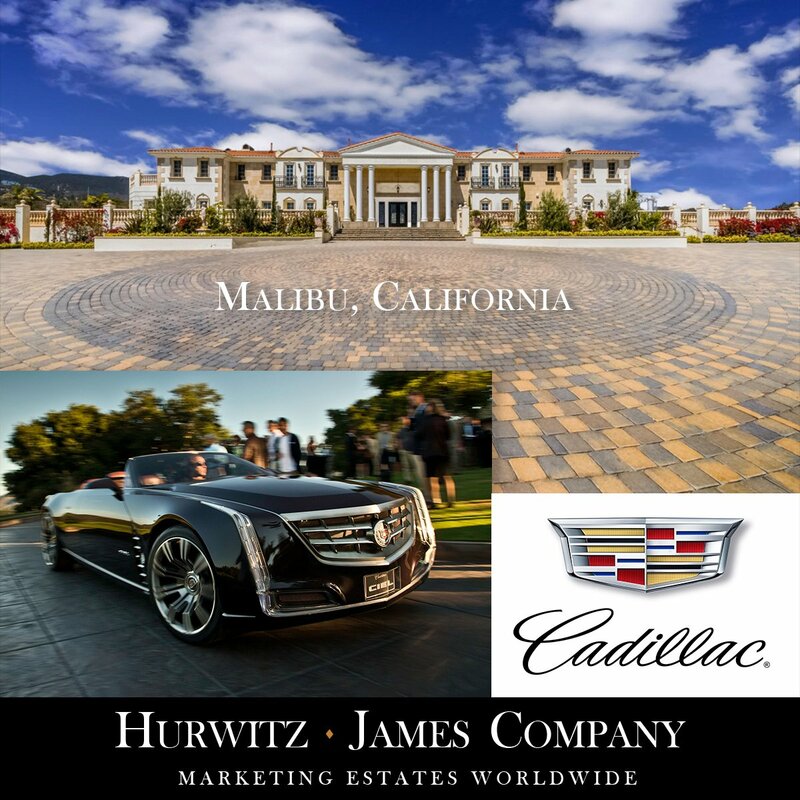 Join Us for Open House with Hurwitz James Company & Cadillac this Sunday in Malibu, California! Listing courtesy of Bob Hurwitz, Hurwitz James Company. 10 Serenity Lane is a vineyard estate set amidst more than 100 acres of rolling hills. This sprawling estate has it all, a custom pool, banquet sized dining, massive wine cellar featured on NBC Nationwide! 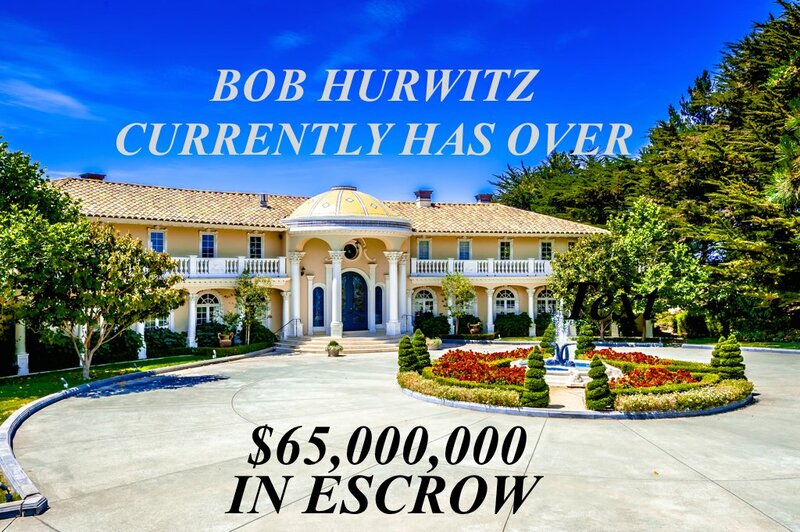 Contact Bob Hurwitz for your private tour today! 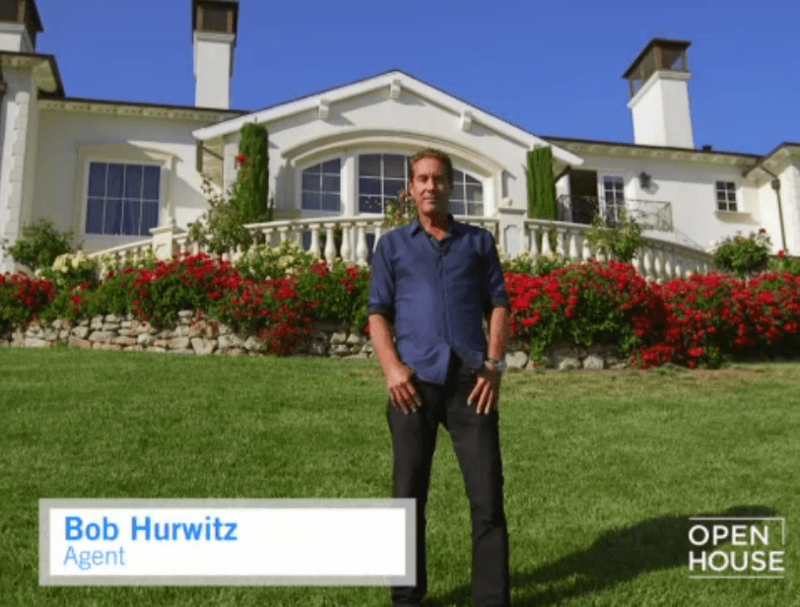 Bob Hurwitz sells Colbie Caillat’s home in Hidden Hills! 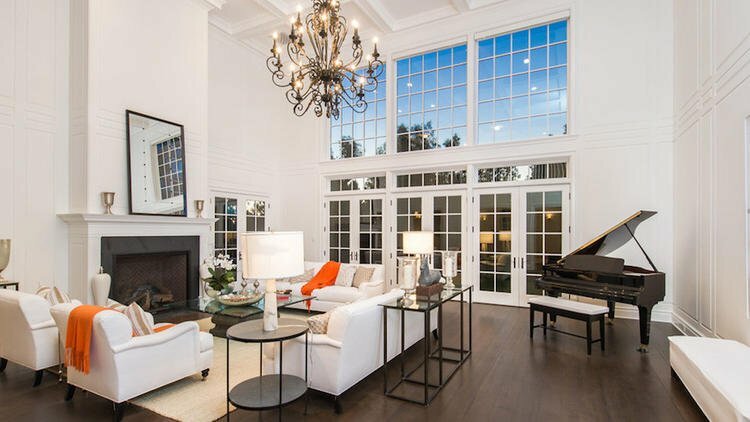 Singer-songwriter Colbie Caillat made quick work of selling her house in gated Hidden Hills. The Mediterranean went for $6.2 million in just over a month on the market. The Santa Barbara-inspired house, built in 2013 on 1.13 acres, is entered through a courtyard with a bell tower. The 8,400-square-foot home features a center-island kitchen, a game room with a wet bar, a home theater, six bedrooms and eight bathrooms. Glass sliders retract into walls off the great room and open to a covered loggia with stone floors and a pitched beam ceiling. A swimming pool with a shelf feature, a spa, an outdoor kitchen, lawn, a putting green and a vegetable garden complete the grounds. There is a four-car garage. She bought the property in August for $6.1 million. Michelle Kaplan and Kevin Godley of Pinnacle Estate Properties were the listing agents. Bob Hurwitz, Hurwitz James Company represented the buyer. Connect with Bob Hurwitz on Social Media!